Netzsch will be showcasing pump technology in booth #1817 at WEFTEC 2017, taking place September 30 - October 4, 2017 in Chicago, Illinois. 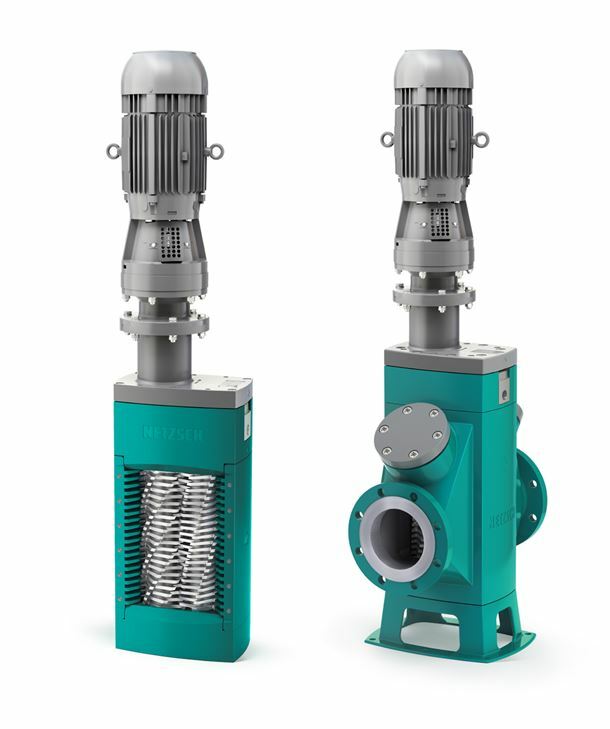 On display will be the N.Mac Twin Shaft Grinder, FSIP (full service-in-place) version of the Nemo progressing cavity pump, the Tornado T2 rotary lobe pump, the patented hopper with bridge (sludge, cake) preventing module (aBP-Module), and the iFD-Stator 2.0. The N.Mac Twin Shaft Grinder on display is designed to fragment a variety of materials, and can be used for wastewater treatment; biogas and biomass plants; food; animal processing; and other waste and industrial applications. Available in both channel and inline (flanged) housing construction, the N.Mac can be installed into effluent channels or upstream from a pump. The cartridge design (a leak free combination of mechanical seal and bearing cartridges) should enable quick and simple replacement and servicing. The N.Mac can be installed into effluent channels or upstream from a pump.